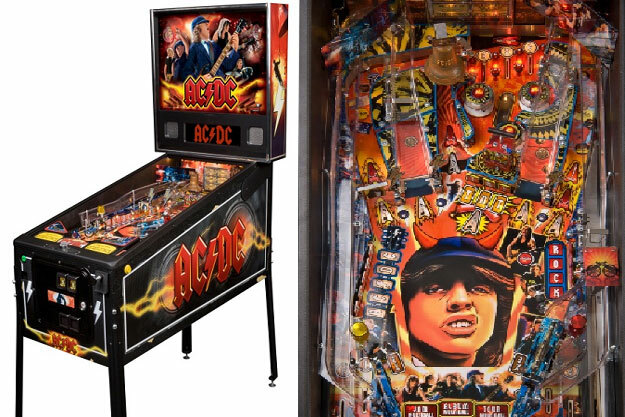 AC/DC now have their own pinball machine. It’s the newest the newest addition to the iconic Stern Pinball collection, honoring one of the most legendary rock and roll bands the world has ever seen. Players will be able to rock out to 12 classic AC/DC hits including "Back in Black," "Highway to Hell" and "You Shook Me All Night Long." Other exciting game features include two separate ramps, a lower play field, ball shooting cannon, eight drop targets, a mechanized Hell's Bell and animations of the AC/DC band. Players can also join the party with a TNT detonator and the Devil's Jukebox. "The combination of classic rock and pinball can't go wrong," said Gary Stern, founder, CEO and chairman of Stern Pinball. "The music and play of the AC/DC machine delivers nothing less than the ultimate rock experience that both AC/DC fans and pinball players can appreciate." Check out all the details at Stern Pinball here.